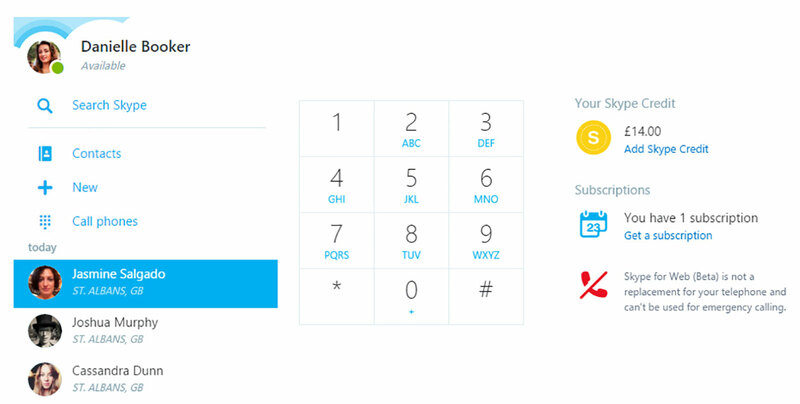 With Skype for Web, users can now put voice calls to any mobile phone or landline through the new “Call cellphones” feature. This requires some Skype credit or a Skype Unlimited World subscription, but the rates for International calls might be cheaper than dialing from your own landline or cell phone. Chrome users ought to remember that Skype for Web nonetheless takes a plugin for voice and video chat. Users who’d rather not install anything should access the website through Internet Explorer or Firefox instead. The new update will also enable users to chat even if they don’t have a Skype account using the ‘Share conversation’ feature. A Skype user can send a chat invitation link to a non-Skype user and by clicking on that link the guest can join a conversation. Last month, Skype group video calling feature for Android, iOS and Windows phone users. The group calling feature from Skype enables users to have a free group video call with up to 25 participants. The video call takes a grid view to see all the callers and also focus on the active.